Last October, when I was in Chicago, Kim and I1 went to the Museum of Contemporary Art. Something struck me as interesting. While there were some amazing piece of work there, there were also lots of things that were not art2. In fact, most of this “not art” I would call crap. Some artist has an idea, trips out on drugs, and throws some paint on a wall. Voila! Modern Art! Perhaps that’s my biggest issue with modern art: anything can be called modern art. Friends, this is not art; modern or otherwise. This is a blurry picture. And like almost all blurry pictures, it belongs in the trash (literal or figurative). Or perhaps I just “don’t get” modern art. I’ve talked to the Russian Consular in Seattle, United Airlines, and a Russian man in Moscow with decent English. I have a confirmed (but not booked) flight from Seattle to Dulles (UA916) to Moscow (UA964) leaving at 7:30am on June 2nd and arriving at 10:45am on June 3rd…15 travel hours later. I also have the return leg booked (a la “Open Jaw” magic) from Frankfurt to Chicago (UA945) to Seattle (UA929) leaving at 8:25am August 3rd and arriving at 2:24pm August 3rd…13.5 travel hours later. I currently still think it’s worth it to go to Russia. But there sure are a lot of hoops to jump through. I currently have an email into the HM Hostel Moscow (US$36.05/night) in Moscow and I may end up contacting the Olimpia Hostel (US$17.35/night). My good friend, and fellow Miner, Ben and his girlfriend, Kim, have taken up residence there as Ben earns his Ph.D at Northwestern University. What does this mean for you? Absolutely nothing. For me, though, it will be a welcome reprieve from the life of a college student in a town where the stops lights change to flashing yellow at 9pm (no joke). 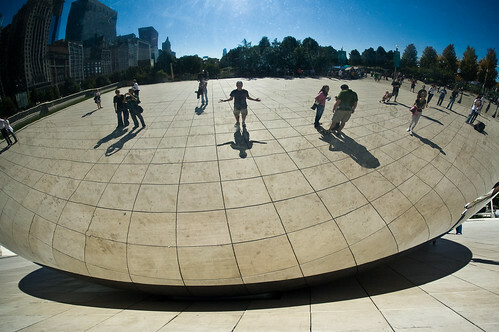 Any suggestions on what to see or do while I’m in the Windy City?